THERE IS USALLY A STORY BEHIND A COMPANY’S NAME. Many times, names are developed simply because they sound good and create a unique brand opportunity. On the other end of the spectrum, naming often goes much deeper. It includes a series of brand definition sessions, creative processes, and refinement with extensive research. More often a name is defined by industry knowledge and experience, and a gut feeling that drives the process of bringing terms together that represent the business or product in some manner. These days, however, finalizing a name often comes down to finding one that has an available URL, a serious challenge in these digital days we now live in. I am often asked how TrueParallel got its name but before I tell that story, I am reminded of one of my favorite naming stories that comes from a major national brand started by the grandfather of a longtime family friend. It was for After Six formal wear. And what better name for a formal wear company specializing in tuxedos than “After Six.” As the story goes, the name emerged from a brainstorming session with key company executives late one evening when Max Rudolfker, the son of After Six’s founder, got up from the meeting and said “Oh no, I’ve got to get home for dinner. It’s after six!” And there was the dawning of the name, “After Six” – the perfect, easy to remember name that became synonymous with wearing tux and tails after 6:00 p.m. 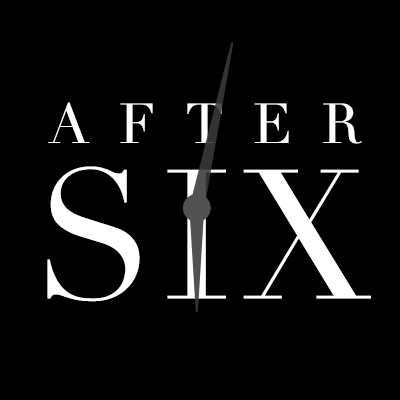 The After Six brand went through its own trials and tribulations and the final demise of its renaissance was ironically due to 9/11, the catastrophic event that also was the genesis of many companies like TrueParallel. NAMING TRUEPARALLEL HAS ITS OWN STORY. Not quite as amusing as the After Six story but nonetheless, it had intent. It was after 9/11 and, as anyone in the professional services business knows, that is when business took a fast turn south. I often refer to what happened to budgets at that time as if someone didn’t just turn the water off but cut the pipes supplying the water. It was that tough. That fatal day in September 2001 had many reverberating effects that some will never forget, and our thoughts will always be with those directly affected. Many businesses were also affected, unable to sustain operations and had to shut down. This was certainly the case in September 2001, when I was a partner at Liquid Thinking, a brilliant team of 100 or so strategic marketing, design, user experience and technology experts who were on the forefront of delivering innovative digital solutions. During this period of halted business activity, brilliance and excellence were not enough to save a company. 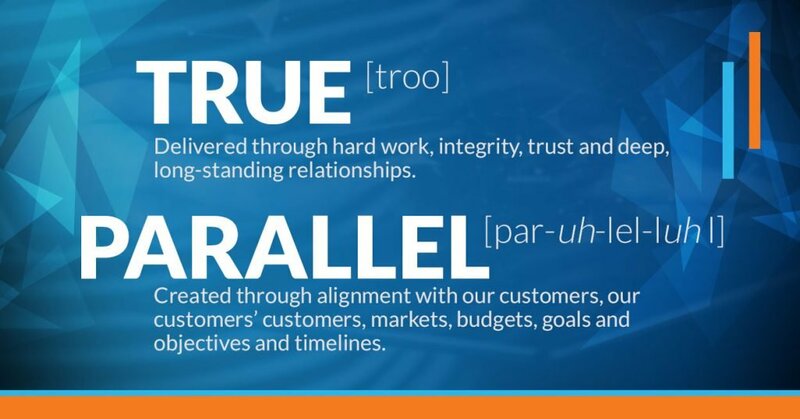 That was half the meaning of the name TrueParallel. Now for “Parallel.” In the late nineties and early 2000’s, the concept of waterfall software delivery, the process of completing onetask before you start the next, was being challenged. Imagine that. Since I was all about accelerating delivery for clients, I had to complete tasks in parallel. This is an approach that is widely embraced today but, believe it or not, was only an emerging methodology at that time. I also took a page from the fundamentals of user centered design – that meant seeing design and solutions through the eyes of our customers, not our own. We wanted to be aligned with our customers, our customers’ customers, markets, budgets, goals and objectives and timelines. That would require “being on the same parallel” with our customers. THERE YOU HAVE IT, THE NAME TRUEPARALLEL WAS BORN. It was not just a random gathering of words; rather, it was developed with real thought and intent. Even today, as I wake up everyday with a goal to make this a better place for those I work with and for those clients who put their confidence in us, I remain “true” to the meaning of our company name and the principles that it represents. TrueParallel, since October, 2001. If you have worked here, are a current team member, have been a client, or are a current client, I guess this a great time to say thanks. It has been a “true” pleasure to be on your “parallel” even if for a short time or with a single project.